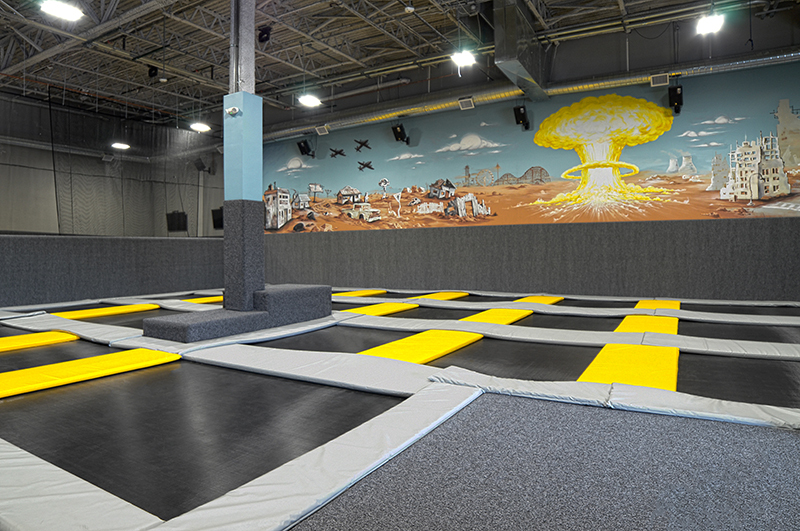 At Fallout Trampoline Arena, we want to provide you with New Mexico’s best trampoline park experience. With that in mind, we have a number of fun activities to make your time with us as enjoyable as possible. Below, you can see some of the activities which we have here at Fallout! 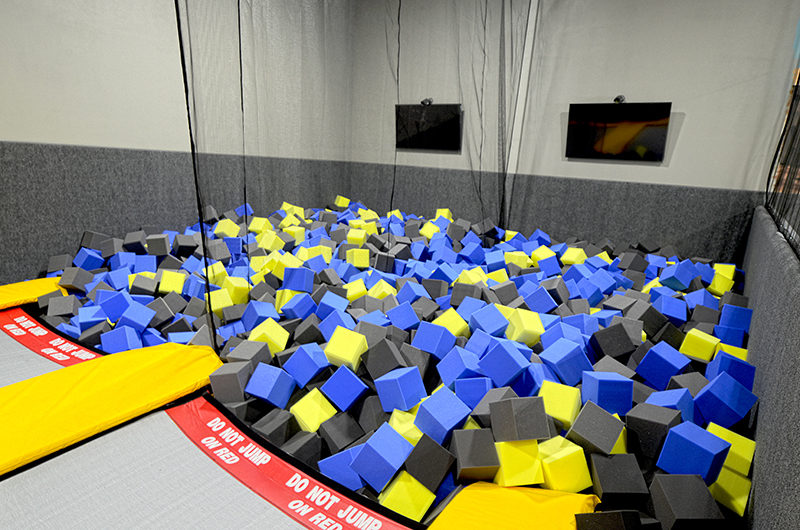 Show off your aerial skills with our foam pit. Practice your mid-air flips, spins, twists and turns knowing you can have a soft and safe landing. It’s the best way to test out your gymnastic skills! For those looking to push themselves to the limit, our ninja course is the best way to channel your inner-ninja! With two stories of jumps, nets, twists and turns, it’s a fun challenge that will release the warrior within! At it’s core, a trampoline is still made for one thing: jumping! 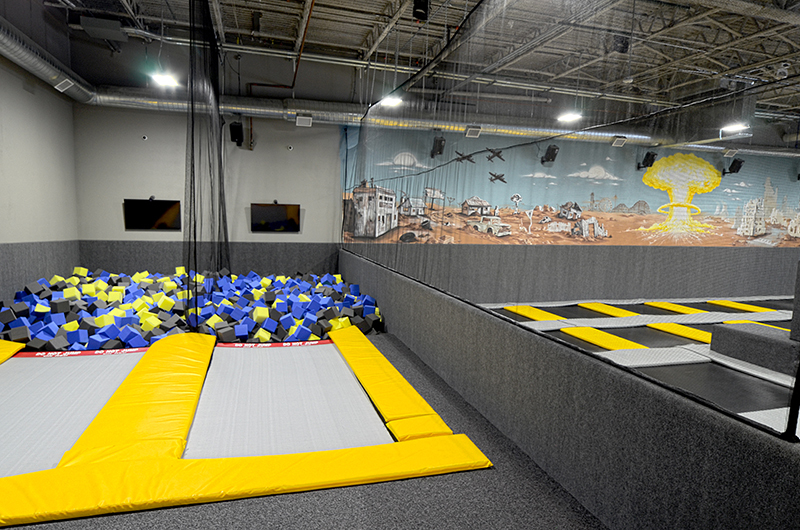 At Fallout, we have a number of aerobic spaces where you can jump and practice all your aerobics. Exercise has never been so fun! Our slam dunk area is the only way you can have your own personal dunk contest outside of the arena! 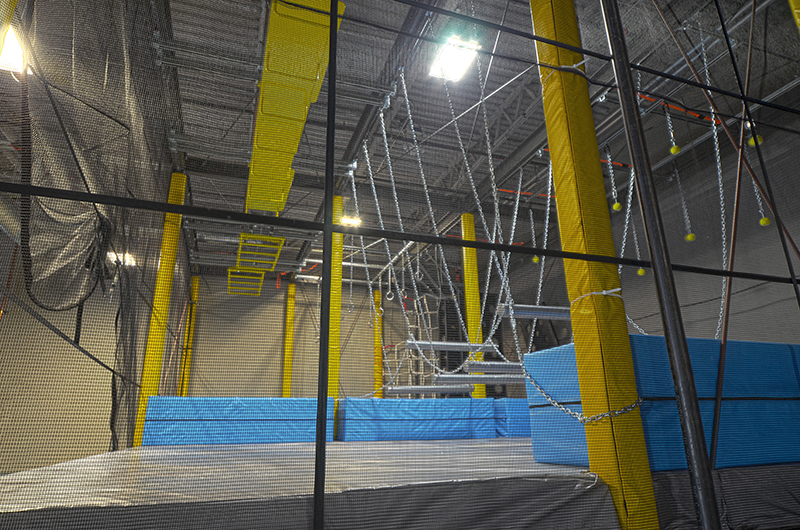 Practice all your tricks and specialty dunks and reach all new heights with our trampolines!